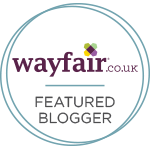 My last caramel shortbread post, for some unknown reason, is my most popular post to date. Don't get me wrong it was bloody delicious and I am glad people love it, but I have no idea why so many people have stumbled onto the post - obviously I am some sort of SEO savant. So, seeing as people are obvious crazy for the caramel I decided to make some more, and put a slight spin on it. I've never actually tried to make salted caramel before, not because I didn't want to, but just the idea of boiling sugar and thermometers fills me with absolute terror! When I saw a recipe on the BBC website which favoured the condensed milk method I decided to give it a go. The caramel just wouldn't set or thicken like it was suppose to. It was still really tasty at the end of it, but just looked a bit like vomit. For the chocolate I used a product that I recently won in a giveaway on the My Bakes UK website. Renshaw Simply Melt Milk Chocolate Buttons, it claims to be easy, simply melt and then drizzle or pour. It tasted great, and at £1.59 for 200g its not a bad price. Although I don't think you actually get the full 200g stated, because of the pouring/melting method I ended up with a lot stuck in the bottom of the odly shaped packet, and when I tried to remelt it burnt. 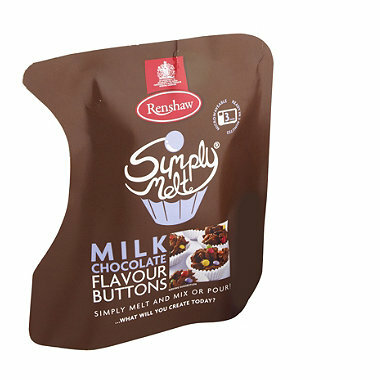 Not sure I would rush out and but it as I'd rather buy chocolate chips/buttons I can melt how I want, rather than in the supplied pack, but the quality of the chocolate was nice and it might be a good option if you are baking with little ones and don't want them near a bain marie. Go on then, make me feel better and share your culinary disasters with me, I can't be the only one surely? This looks delicious. I need to have a go at some salted caramel! These looks so good. YUM! New follower, please follow back. Thanks! This looks amazing! Once I tried salted caramel, there was no going back! I have had my fair share of disasters making caramel (actually posted burnt caramel once), macarons and cake pops! Crikey, this stuff wouldn't be safe in my house. I'd have to keep nipping down to the kitchen and eating a piece! I had a similar experience with those pouring melts - some flavours seem to melt down ok and pour reasonable well and then others just end up as a gunky blob that won't move! ingenious idea! And too good to be true! Have just made salty caramel sauce (which mixed in with hot sticky chocolate sauce is hea-ven) but this is fantastic ramp up!